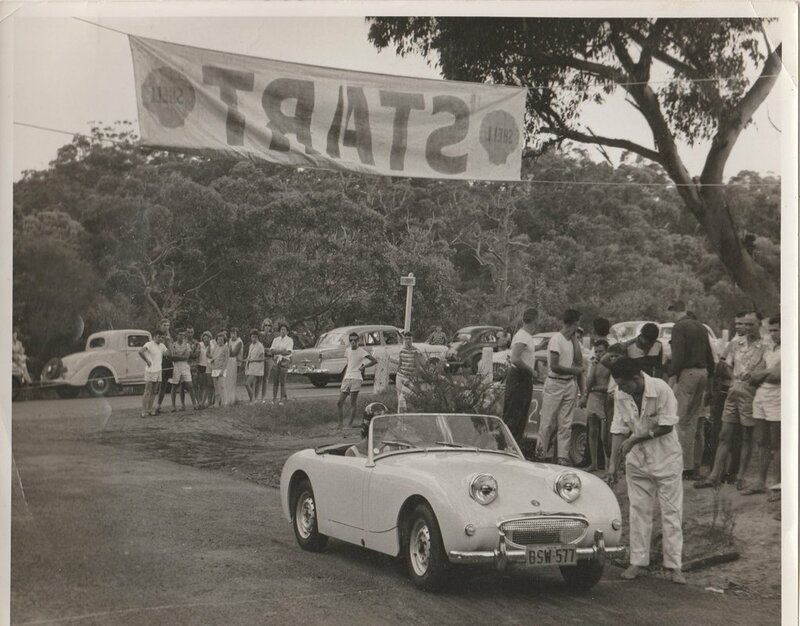 During the 1950's the Manly, Warringah Sports Car Club held hill climb events at Foley's Hill in Mona Vale NSW. 1959 - Jill O'Brien at the wheel of her Austin Healey Sprite at Foley's Hill. Photo: John Keesing.